Wisterias are one of the most spectacular spring-blooming perennials and are actually very large woody vines. They are a genus—with about ten species—of flowering plants in the pea family. 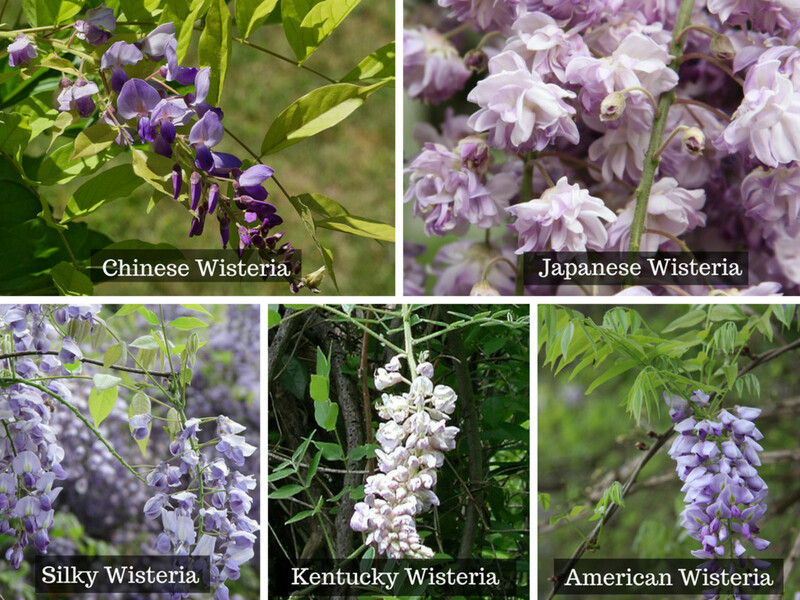 Some species are native to the United States—including the American and Kentucky—but the two most popular wisterias are the Chinese and Japanese varieties. The Chinese wisteria was brought to the United States for horticultural purposes in 1816, while the Japanese wisteria was introduced around 1830. With their abundance of foot-long panicles of flowers—most commonly in lilac blue—they are traffic stoppers. I once had an elderly woman with a carload of grandchildren stop in front of my house and ask if they could smell my wisteria. The beauty of these plants in full bloom has been immortalized in Tiffany stained glass, which often depicts irises blooming in the foreground—a nice combination in the garden. Plan for your wisteria to be around for a very long time—some of them live for over 100 years! How Long Does it Take for One to Bloom for the First Time? They usually bloom within three to five years of planting. However, some can take up to 15 years—this is especially true if you plant one from a seed (I discuss this more in-depth further down in the article). You can help speed up the blooming process by properly planting, pruning, and caring for it, which I'll show you how to do in this article. What Are the Most Common Species? Does it produce a fragrant smell? How long are the racemes that hold the flower clusters? 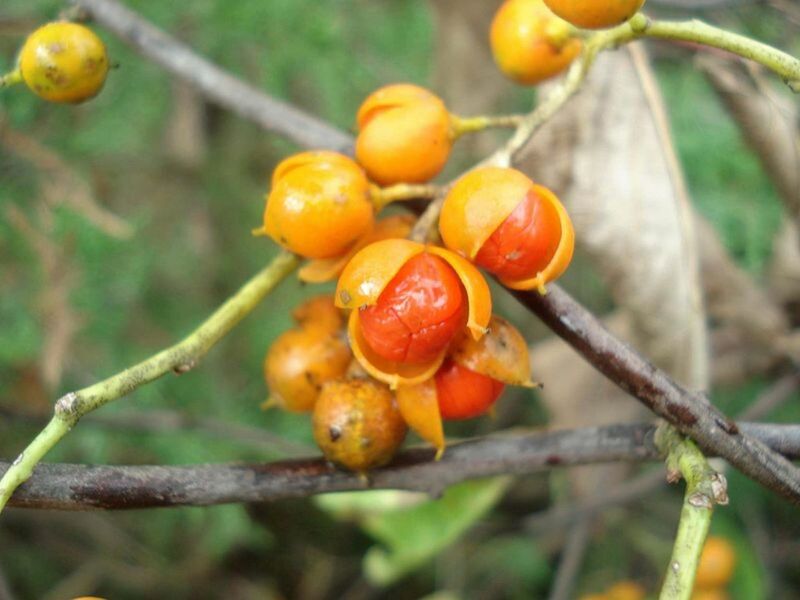 While the Japanese and Chinese varieties are easier to find at U.S. nurseries, they are actually considered an invasive species in many parts of the country. Choosing a location for your wisteria is one of the most important decisions since the plant's ability to flower and be controlled depends on this factor. 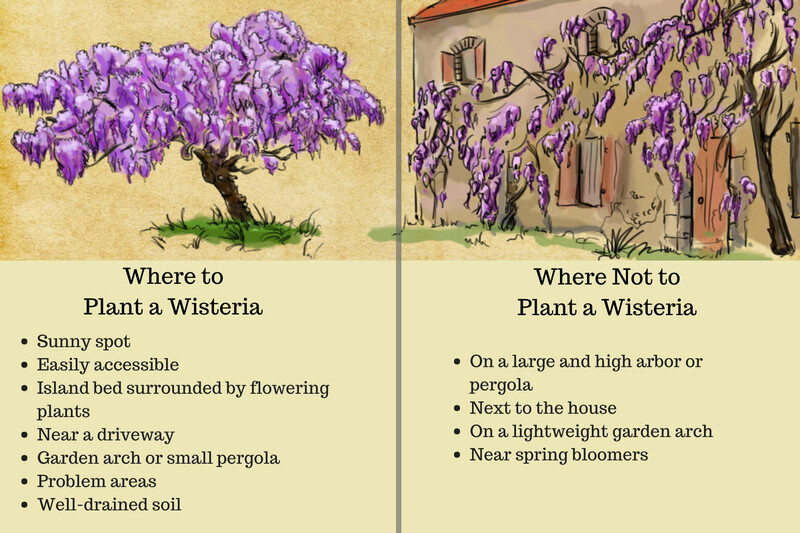 Where Should You Plant a Wisteria? These vines aren’t that difficult to control, especially if you’ve planted it in a good spot. Below are some tips on where and where not to plant one. A sunny spot: Wisterias need to be planted in a location that gets at least six hours of sunlight on a daily basis. Easily accessible: It's a good idea to plant it in a place where you can easily mow around the base of the vine/tree and places that are frequented. By the latter, I mean that it is best not to plant it in an “out of sight, out of mind” location. It should be in a location where any rambunctious tendencies are noticed early. An island bed surrounded by other flowering plants: This is a good location since it's an area that will get regular maintenance. However, you want to make sure it doesn't overwhelm the other plants. Near a driveway: Planting a wisteria near a driveway also works to draw your attention to its pruning needs. Garden arch or small pergola: For most home gardeners, they are best planted either on a very strong support, such as a sturdy garden arch or small pergola, or trained in the form of a tree. Vertical supporting members for a vine should be four-by-fours (at least) and horizontal supports need to be made of strong framing lumber. These vines are very heavy when mature. Problem areas: Because of its exuberant growth habits, a wisteria is a good plant for problem areas, bearing in mind that it requires full sun if you want it to bloom. Well-drained soil: While the vine will tolerate most soil conditions, it does require deep, rich soil that is somewhat moist and allows water to percolate quickly. Large and high arbor or pergola: Older gardeners—or any gardener who doesn’t want to be bothered with onerous maintenance chores—will probably not want to grow one on a large and high arbor or pergola since this would mean that pruning would have to be done on a stepladder. A wisteria grown on a small arbor would probably not be a serious maintenance problem, however. Next to the house: As with any vine, it should not be planted next to the house, with the idea of letting it clothe the exterior walls in glory. When vines of any kind are allowed to grow up the exterior walls of a house, they will work their way under the siding and eventually pull it loose. I understand that it’s okay to grow vines on stone or brick exteriors, but I would be afraid for the wooden shutters and window frames—and afraid of pruning on an extension ladder. But that’s just me. Maybe you have a gardening staff, a list of adventurous roofers, and great homeowner’s insurance. On a lightweight garden arch: While I’ve seen wisterias grow successfully on a simple lightweight garden arch, this is probably not a good long-term plan. As the vine matures, the weight will eventually overwhelm such a structure. Near spring bloomers: Spring bloomers—such as irises, English daisies, creeping phlox, and dianthus—that need to be fertilized in early spring to produce a good display should not be planted too close to wisterias because this could prevent the vine from flowering (I explain this more in detail further down in the article). When I first moved into my present house (a fixer-upper), the entire front yard was a gravel driveway. There was no front yard in the traditional sense; the entire width of the house, from doorstep to street, was a gravel parking area. This setup was, of course, unattractive; I set about creating a large island bed, roughly in the middle of this barren stretch of gravel that allowed for parking on both sides. I used stackable blocks (like the ones used for retaining walls) two blocks high and shaped into a rough oval, and filled it in with bagged compost/manure. If I had it to do over, I would use natural stone since it has much more eye appeal, but for many island beds, you can’t beat these stackable blocks for ease of construction. In this island bed, I planted flowers, bulbs, and a single wisteria that was staked to train it into a tree form." Should I Grow a Wisteria From Seed? Inside the seed pods are large seeds that are easy to germinate. The germination rate is pretty close to 100%, but blooming may not occur for 10-15 years, if ever. The temptation to grow this plant from seed to give away to friends and neighbors is hard to resist. One year, before I read that plants grown from seed are often slow to bloom, I planted quite a few seeds in pots, and I had many eager takers. I hope I did not doom those friends and neighbors to 15 years of frustration while waiting for the plants to bloom. I also gave away seedlings that came up in neglected flowerbeds in my yard. One of these plants was sprawling on the ground in full bloom before I noticed it—so I guess it must have been two or three years old. So, clearly, some seed-grown plants bloom young, but it's best to avoid this method. How Can I Use the Seeds? You may find the seedpods useful for craft projects. Spraypainted gold or silver, they aren’t half bad as Christmas-tree ornaments. There is a 100-year-old wisteria in Sierra Madre, California, that is so large that it has received a place in the Guinness Book of Records as the largest blossoming plant in the world. This amazing vine is more than one acre in size and weighs 250 tons. 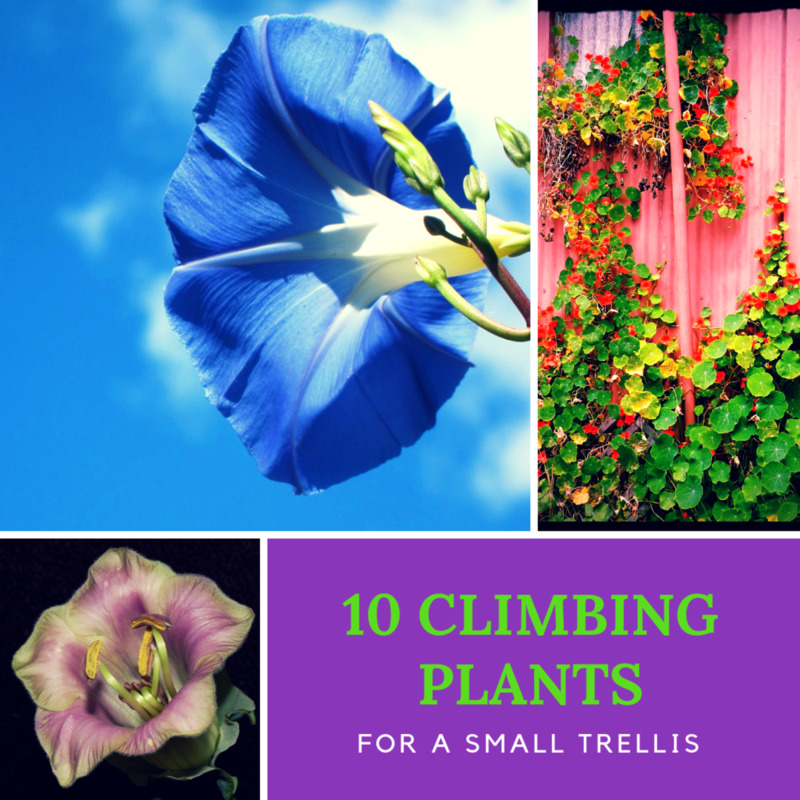 If you’d like to give away one of these plants—or feel you’d like another plant or two for yourself—it is easy to grow them from cuttings. This approach will ensure a new tree or vine that will not take forever to bloom. Take cuttings from green softwood in late spring or summer. Cuttings should be six to eight inches long and have a few sets of leaves. Remove leaves from the lower half of the cutting, but keep two or three sets of leaves on the top half. The places where leaves were removed (leaf nodes) are where the roots will develop. Trim the bottom of the cutting so that the lowest node where leaves were removed is ½ to ¼ inch from the bottom end of the cutting. Make this bottom cut at an angle. Make a two-inch deep hole in a moist, soilless potting mixture. If you are using a six-inch pot, you can fit up to five cuttings in one pot—and taking several cuttings is good insurance. Separate pots for each cutting may be the best idea, since you may want to grow them in pots to avoid planting out in very hot or dry weather, or you may want to give some away. Put the bottom ends of the cuttings into the holes and firm the soil around them. Cover the pot with plastic. A two-liter plastic soda bottle with the bottom cut out will work to cover a six-inch pot, or you can use a plastic bag supported by sticks so that the plastic can’t come in contact with the leaves. Put the potted cutting in a sunny spot, but out of direct sunlight, and water regularly to make sure the soil doesn’t dry out. The cuttings should root in four to eight weeks. Once the cuttings have rooted, it would be best to grow them in pots, gradually hardening them off (while making sure they have plenty of water). 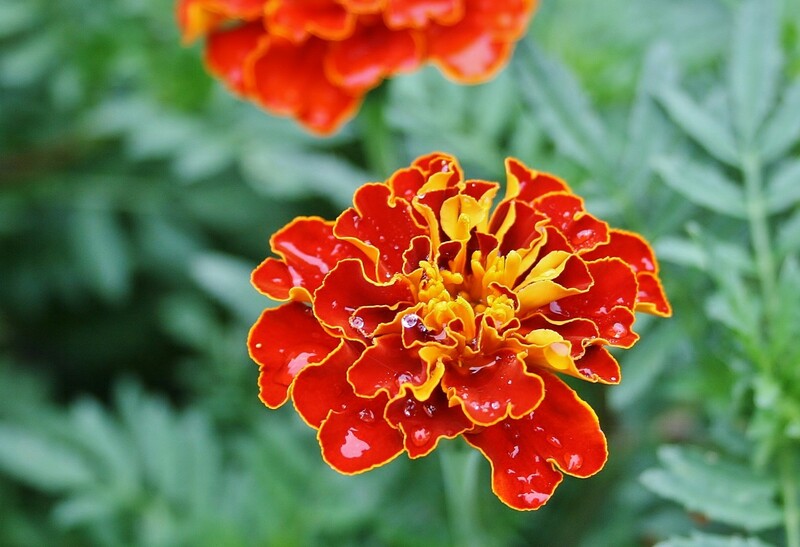 Usually, it is too hot, and sometimes too dry, for successful transplanting into the ground in mid and late summer. It’s best to wait for the heat to let up before planting them in the early fall. Make sure to water the newly planted cuttings regularly once they’re planted. Plants grown from stem cuttings can be expected to bloom in two to three years, at which point you will be the envy of the neighborhood. With the proper care, your wisteria can flourish without taking over. In the early spring, you should apply a layer of compost under the plant along with a two-inch layer of mulch to help retain moisture and control weeds. 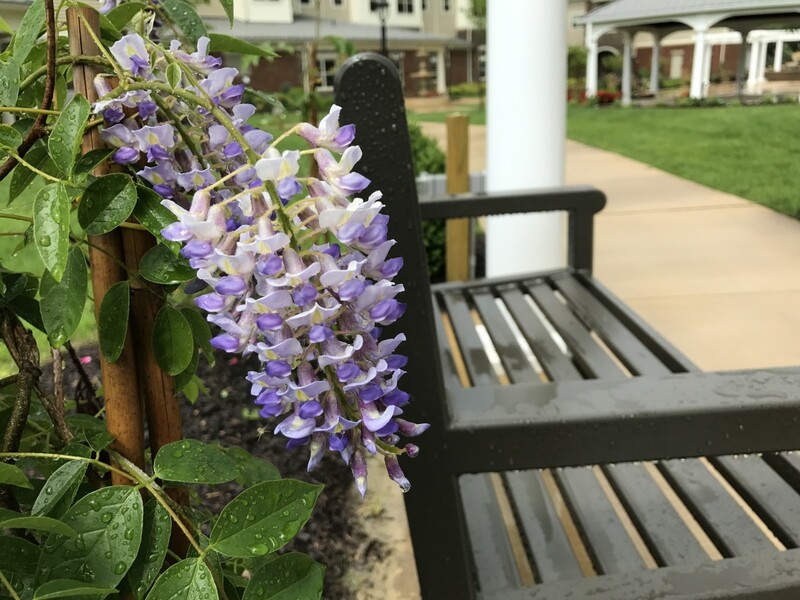 Also, for the first year, if you live in an area that receives less than an inch of rain every week, be sure to water your wisteria. Once your vine is established, it can withstand surprise frost, garden pests, inclement water, and drought—so pruning will be your main concern. How Do You Deal With Its Aggressive Growing Habits? Wisterias grow easily. In fact, the usual complaint about them is that they grow too easily—and can be difficult to control. Remove unwanted shoots immediately: My wisteria—which I trained into a small tree—sends up unwanted shoots from the base, which must be removed as soon as they are noticed. Provide a sturdy support: It has also shown a certain predisposition to want to lean. Without support, it would probably just lie down on the ground. The solution to this difficulty is to provide a sturdy support to keep the trunk aimed in a generally upward direction. Cut back on overgrowth: My “small” wisteria has a tendency to produce an overabundance of top growth that, if not cut back, will eventually engulf everything in its immediate vicinity. Since it's planted next to a driveway, it often seems bent on engulfing my daughter’s car whenever I neglect the pruning for too long. Prune aggressively: You decide the size and shape. Don’t be afraid to prune them aggressively. You won’t hurt them. If you’re going to worry about them, worry that they’ll engulf the neighborhood. 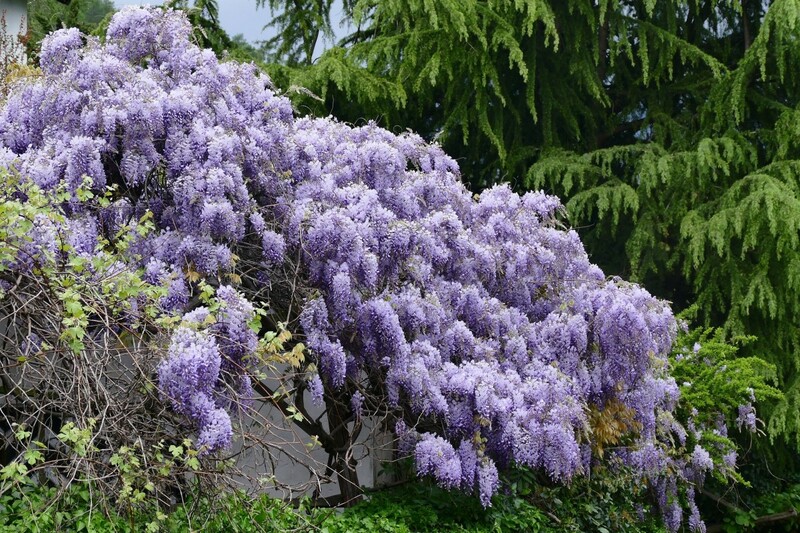 Can You Prune and Train a Wisteria to Look Like a Small Tree? I think the easiest way to grow this type of plant is to train it into a free-standing tree (you can even make it into a bonsai!). In three or four years, it will grow into a cute, little ornamental tree that is six to eight feet tall. In ten years or so, it should be eight to ten feet tall. Stake the main stem of the plant to a sturdy post set securely in the ground and remove all unwanted growth along the trunk, allowing only top growth. As the tree grows taller, growth along the trunk can be removed higher up on the plant, thus creating a taller trunk. The key to doing this successfully is the sturdy post (such as a four-by-four) set securely in the ground. As the tree grows larger and heavier, it may lean so heavily on a less sturdy and secure post that it will push it over. This will result in your tree leaning sharply to one side, and it could even decide to lie flat on the ground. Since I did not take the precaution of staking my wisteria to a sturdy enough post, I wound up having to prop it up. I wedged the heavy base of an old birdbath against the trunk. This is a two-person job: One person pulls the small tree so that the trunk is more or less vertical while a second person wedges the base of the old birdbath against it. Also, if your tree begins to list a little to one side, there is no reason why you can’t just cut away any offending branches (even half the tree, if you feel like it) leaving behind those that are disposing of themselves more or less vertically. You can’t hurt a wisteria and the free-form wandering and general upward curves will look charming as the tree matures. Pruning helps to encourage bloom, and both summer pruning and late winter/early spring pruning are recommended. For the first few years, as the tree puts on growth, pruning will mostly be a matter of controlling top growth and keeping the “trunk” free of unwanted growth. There will be no mystery to summer pruning; just cut away overly exuberant growth to maintain a tidy shape. All you are trying to achieve is to make your wisteria look like a pretty little tree—and keep it from engulfing your car during the night. Summer pruning will be an ongoing business unless you are okay with letting the top of the tree assume very large proportions. In this case, the top of the tree will be all over the place, including weeping to the ground and waving restless tentacles in all directions. You’d have something quite out of the ordinary there. In addition to summer pruning, it’s best to prune your plant pretty hard in late winter/early spring. By this, I mean that dead wood should be removed and long, thin branches should be cut back quite a lot. It’s hard to be specific and say something like, “Cut back long, thin branches by one-half to two-thirds,” because I don’t know how much you pruned it in summer. Just cut them back so that the tree’s canopy is fairly small and tidy looking. You may also want to remove some smaller branches entirely, to reduce crowding. You can also prune after the flower buds are clearly noticeable in spring—or prune both before and after buds have clearly formed. (Frankly, you can prune a wisteria any time you feel like it). Just be mindful of cutting away any buds unless it’s necessary to the tree’s shape, and be careful about knocking the buds off by accident. Late winter/early spring is also a good time to raise the tree’s canopy by removing branches from the upper part of the trunk. Then it's time to primp your tree. This is so much fun! It's a great place for a hummingbird feeder—and a couple of brightly painted birdhouses—and other decorations, too, such as wind chimes or sun-catchers. It’s also a nice place to hang a winter birdfeeder. How Do I Control My Vines? If you're looking to have your vines climb a structure in a controlled manner, you'll first want to let your young wisteria shoot vines around the posts. Then you can secure these vines using either galvanized wire and eye hooks or gardening twine. Make sure you don't tie the twine too tight or it will injure your plants and put too much stress on your structure. Prune the tips to encourage the side branches to grow, and before you know it, you'll be able to remove the ties and you'll be left with a controlled vine. It's important to keep up with pruning and trimming though! How Toxic Are These Vines? All parts of the wisteria plant are toxic to humans, pets, and livestock because they contain two toxins: lectin and wisterin. These substances can cause nausea and diarrhea if consumed in large amounts. Always wear gloves when trimming and pruning, and wash your hands after handling a wisteria. The most deadly parts of the plant are the seeds and seedpods—so if you have children or pets, it's a good idea to remove these parts after the plant has flowered. The seedpods don't taste bad or immediately cause symptoms, so a child or pet may inadvertently consume a large amount. Call your local poison control center in case of ingestion. One of the most frequent complaints about these plants is that the darned things don't bloom for many years after planting—and sometimes mature ones never bloom. 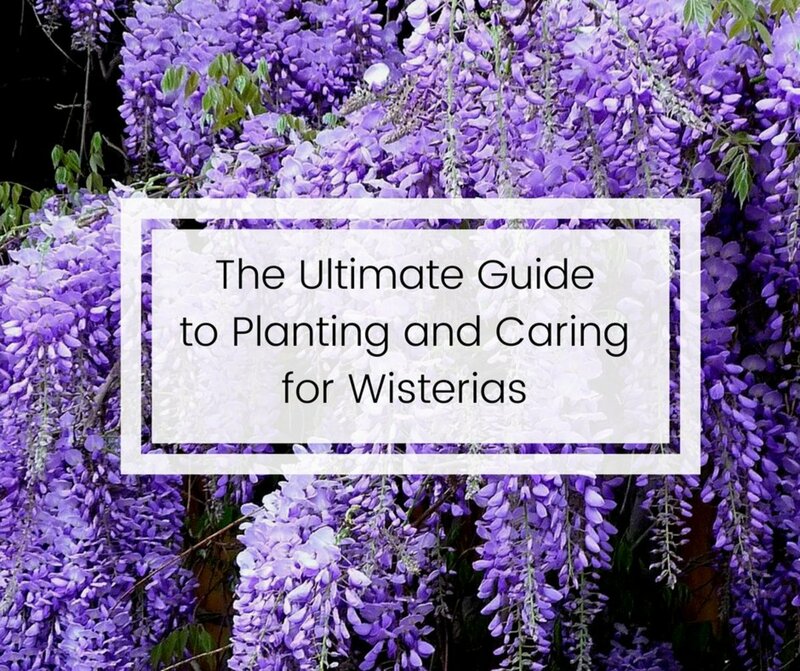 Wisterias grown from a seed are said to often take as long as 15 years to bloom, so most sources say you should only grow ones from grafted plants or cuttings of cultivated varieties of proven floriferousness and early bloom. Plants that are slow to bloom can often be coaxed into flowering by a fairly hard pruning. An old, neglected plant may need very hard pruning. You can also cut back the rampant shoots every two weeks during summer to increase blooming. As a desperation measure for old and stubborn non-bloomers, root pruning is often suggested—this is where you dig around the plant with a shovel to sever some of the roots. If you are able to damage about half of the roots, the bush will be shocked into flowering. Don't worry about hurting it—that's pretty hard to do that! 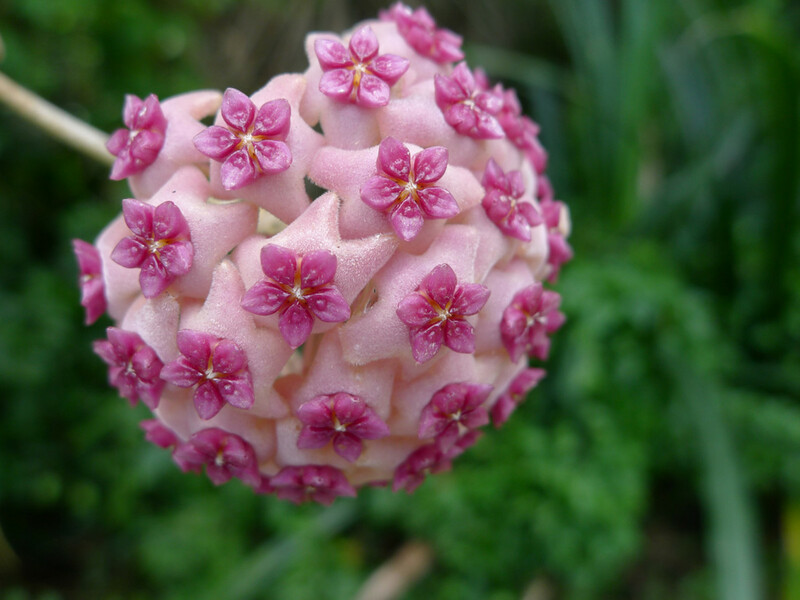 They should not be fertilized with nitrogen, as this tends to produce heavy foliage growth and no flowers. The best fertilizer for this type of plant is phosphorus, in the form of bone meal. For this reason, if your wisteria is the centerpiece of a flowerbed, as mine is, give it a little space so that you can fertilize the flowers without giving the vine a dose. 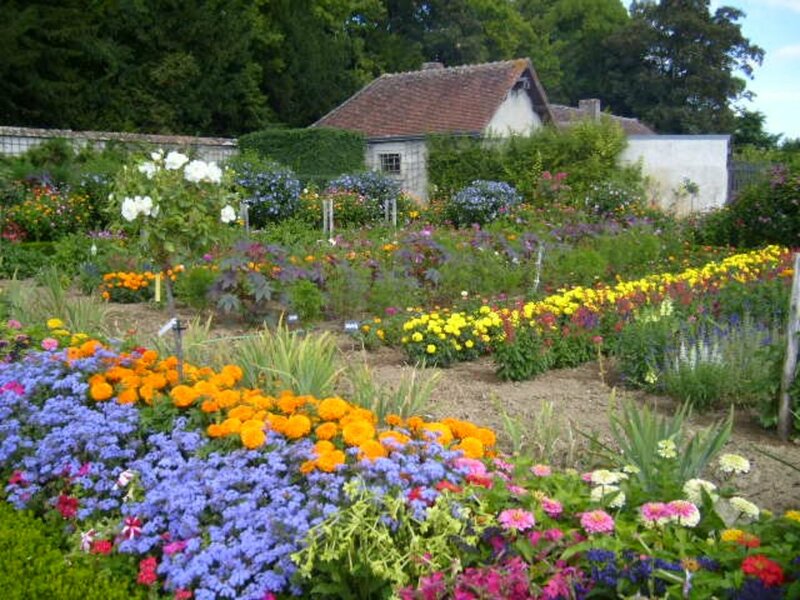 Alternatively, if you have flowers planted near yours, hold off fertilizing them until it's already blooming. 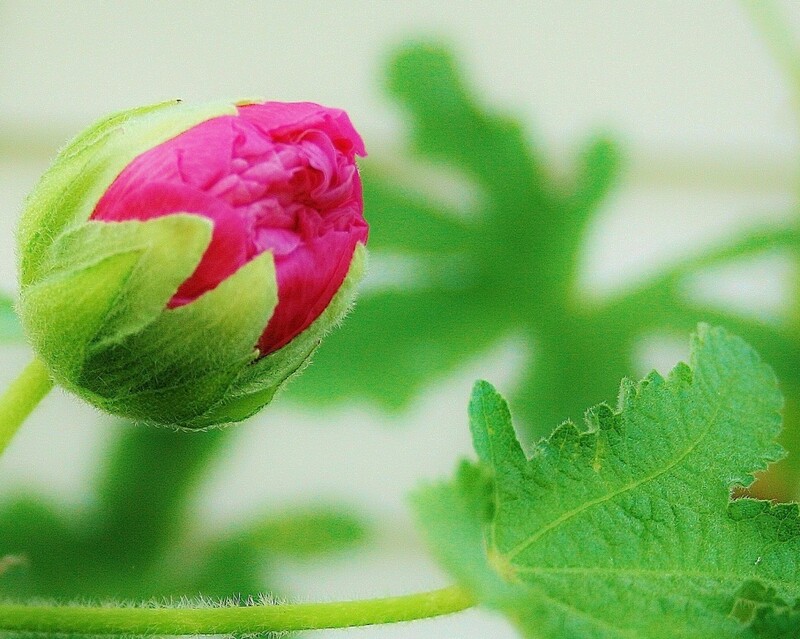 Flowers that bloom later in the summer, such as hibiscus, balloon flower, portulaca, and daylilies, can be given their dose of fertilizer a little later in spring without harm. Remember that these plants need full sun. They won’t bloom in full or partial shade. 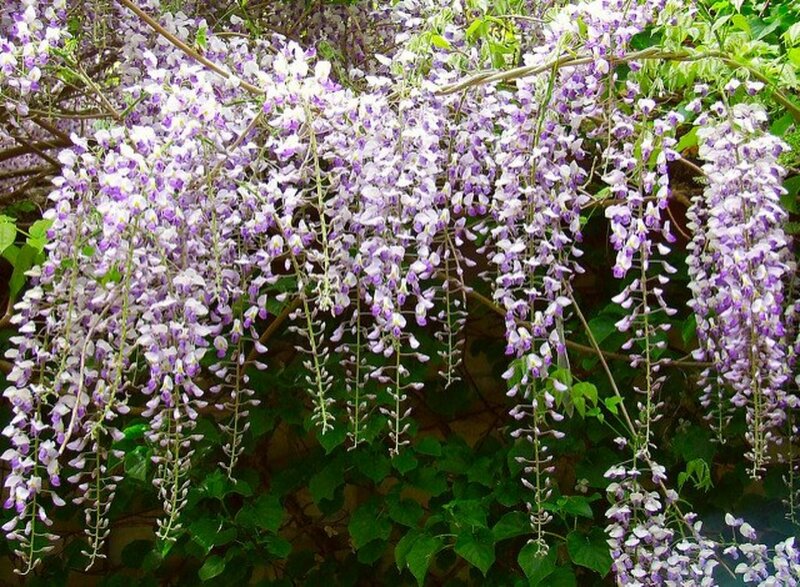 "How to Plant, Grow, and Care for Wisteria", The Old Farmer's Almanac. Accessed June 24, 2018. "Wisteria", Wikipedia. Accessed June 24, 2018. "Wisteria Types", Garden Design Magazine. Accessed June 25, 2018. "Wisteria floribunda", Fire Effects Information System. Accessed June 28, 2018. Is it better to grow Wisterias in a big pot if it's a little tree? I think that depends on many factors. The plants would probably not get as big, even in large pots. On the other hand, growing them in pots could solve a lot of maintenance problems; it would keep the plant from suckering all over the place. Maybe. And you might like the convenience of being able to move the plants around--though I would guess a pot large enough to grow a wisteria would need to be on one of those wheely things, as it would likely be very heavy. My wisteria is sick. It is in a large planter on a sunny terrace. Its leaves are turning yellow, and they are sticky, however, there is some new growth. Am I am watering it too much or not enough? Should I give it fertilizer? I have never grown wisteria in pots, but I would guess that you're overwatering it. The ends of the leaves on the wisteria I have are withering and drying out. This is not the case on all of them, just a lot of the newer ones. What should I do? Has the weather been unusually dry? Without knowing more, the problem sounds like inadequate water--perhaps from soil conditions. Both American wisteria and Japanese wisteria are deer resistant. Can I grow wisteria in a house with a solar lamp? I don't know for sure. I started some cuttings this spring, and they took hold and seemed quite happy for about a month in a sunny window until I moved them outdoors. Wisteria is very resilient, but it really isn't an indoor plant, so I would not expect it to do well indoors, long-term. I live in Senegal, West Africa. We have a hot and dry season, plus a scorching and very humid season. Would I be able to grow wisteria in such a climate? I honestly don't know if you could grow wisteria in West Africa. Wisteria can become rampant in some hot and humid climates. My guess is that it would do well if you gave it sufficient water during the dry season. Are there any recognizable traits to tell what type of Wisteria you have from a sapling? There are probably subtle differences that are detectable even when a plant is young, though it still might be hard to tell. Can Wisterias bloom in a tropical weather like Puerto Rico? Or do they need winter temperatures? I don't think Wisteria requires a winter chill period. 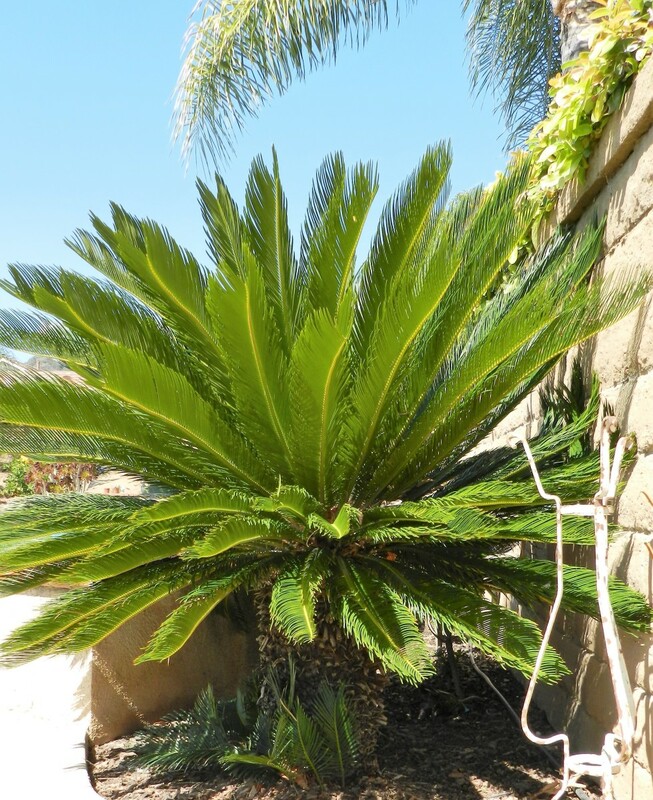 It often grows and blooms rampantly in mild-winter climates, so I would guess it would do likewise in tropical climates--assuming there are no disease problems to disturb it. I will have to research the suitability of wisteria to tropical climates a little further, though, before saying for sure. Do wisterias from nurseries bloom faster? The time it takes for wisterias to bloom depends on the age of the plant, and probably the variety. Nursery plants will be older than plants you start from seed, though by how much old will vary. What do the Wisteria seed pods look like? Wisteria seed pods are rather large, like long, flat bean pods. They can be five or six inches long. They are hard to miss! I don't know. I suppose it might depend on what type of tree you would be growing it into, as well as the size. I think a wisteria might overwhelm even a medium sized tree--maybe breaking branches. (During the summer, it has sometimes seemed to me that my wisteria engulfed my car overnight.) I'm not sure how a wisteria would do if planted next to a large established tree. I would love to plant a wisteria tree. I have a large tree in my back yard and I was wondering if I could use this tree for support. The tree is still thriving and I don’t what to kill it by making it a host for another plant. Do you think this would be a good idea? Hi! I am in Philippines and I am growing wisteria from seed. It has just had had it's true leaves come out. I am planning to make it into a bonsai. I was wondering, if there is anything I should prepare for? I don't know for sure, of course, but my guess is that it will be fine. Two years ago I removed about a third of my tree wisteria, cutting out a major trunk. It didn't bloom the following year, but it is covered with blossom clusters this year. My impression is that it is really hard to kill a wisteria. I do think maybe you should just remove the trunk that was cut into. I don't see how that part of the tree could survive, and a dead portion of the tree invites disease. I have a stunning, 50-year old wisteria vine on my home and my gardener cut 3/4 of the way through one of the major trunks by accident. I am afraid that half of my beautiful wisteria is going to die! Is there anything I can do to seal the cut or help it not die? Since the day it happened, I have been watching the plant for signs of stress and some of the leaves are turning yellow (next to the very green ones that are presumably growing from the intact trunk). Any thoughts would be helpful. I'm not holding out a lot of hope. Sounds like it's still alive! I don't see any reason why it shouldn't survive and thrive when you plant it outdoors. I hear you about the need to keep after the pruning with wisteria. Mine is in an island bed with a driveway alongside it, and it often seems like the wisteria will engulf your car almost overnight. I've had suckers from the base of the tree send out 20-foot runners. Pruning does encourage bloom--although it is possible to overdo it. Two years ago I asked my daughter to cut away about half of the tree, and it didn't bloom the following year--plus it looked a little lopsided there for awhile. (She cut off car-eating half of the tree.) But it looks like it will bloom profusely this year. Congratulations on the elderberry! They are wonderful. Hi! Thanks for posting this informative segment on wisteria,(especially turning it into a tree & propagating). I have one question & one comment. I live in the southern end of Ontario,Canada. Like Rae who posted before, our summers are short & hot or short/wet & cold. I planted a Chinese Wisteria on a pergola covering 1/2 of my deck,so it’s fairly large. I’m of the mindset with plants that too much attention is just as bad,if not worse than a little neglect. Well, it took the plant approx 2-3 years before it really started to take off & trail to the top of the pergola. I didn’t prune it for fear of killing it. Well, when it started to grow, it really took off! Honestly, if you are not vigilant with pruning,(and I mean spot trims all summer long), the tentacles stretch out,curling onto my bbq,chairs etc. I purchased it from a reputable nursery & when it started to flower, it was white flowers that almost look like the weed we call,Queen Anne’s Lace. Not dangling/hanging flowers. Perplexed, I took one of the flowers into the nursery & low & behold, it’s Elderflower/berry, as it gets small round purplish/black berries on it as well! They gave me another wisteria in apology. Well, the next year, not only did I get the Elderflowers/berries, but I also got wisteria flowers as well! I planted Concord grapes on two of the other pergola posts which have both grown up & over & the shade of them all protects anyone under the canopy from sun,wind,rain etc. It’s true that you really can’t kill it as I attack it every spring & fall & almost cut it down by at least 1/3rd. I found that once I started getting aggressive with the pruning, then it started flowering. In fact, even during a hot summer I rarely water it if at all. My question is, last year towards the end of summer, I got a wisteria from the same nursery that I purchased the original one. I had given the 2nd wisteria away that the nursery had combed me for the plant confusion situation as I didn’t know where to plant it. When I found out about wisteria trees, I decided I wanted one & so purchased one at a,”scratch & dent sale”. It was super healthy with plenty of green leaves & a few flowers or flower buds on it. I left it outside on my deck in it’s original pot & it seemed happy. I never got around to planting it in my yard & so brought it inside for the winter. Eventually, all the leaves fell off & it looks like a grey stalk, about the width of the average ring finger & approx 2 ft in height & there is a small green, hard, but pliable stem coming out the top of the grey stem. The grey stalk is still alive as I’ve tried bending a few sticks,(grey ones that are about 10cms long coming out the main stalk close to the soil). They were bendy & didn’t snap off. I would like to plant it out in my yard this year & make a tree out of it. Does it seem too far gone, to come back & is there anything I should do for it? I was just planning on the wait & see approach & cross my fingers. Any thoughts? Sorry this was so long, but I had a lot of ground to cover! Thanks for your reply. You seem to be saying that your plant had leaves when you purchased it, but now has none. If you are living in a cold-winter climate in the northern hemisphere, your wisteria will go dormant over winter and leaf out in spring. Wisteria is somewhat slow-growing--at least as far as the "trunk" and main branches are concerned. Once wisteria matures some (after two or three years), new growth of young branches and leaves--and suckers, if you don't keep after them--is explosive during the spring and summer. I have no idea. I think I've read stories about wisteria rampaging all over the place in the deep South. I would google it! I wonder if wisteria would grow up onto the trunk of oak trees? My white wisteria tree is about 12' high now, supported, of course. Trained vines to grow around a metal stake my husband "planted" for this purpose. Once a year we use a shovel to chop underground roots around the base (about 12" out). An early warm spell brought out many buds, then a hard freeze knocked them off, but to our surprise it was in full bloom for Resurrection Sunday! While we are enjoying this sweet smelling tree very much, we are fighting a blue wisteria vine that we let get out of hand in another area. Bit by bit it must be dug up when it shows up. The habit of the vine does mean it can't be neglected even if a season of life gets a little crazy. I would like to grow some of the blue in a large pot. Thanks for some tips on starting new plants. I would love to plant wisteria. I like any plant that "earns its keep." My thinking on 2 acres is: if a little bit is good, more is better. I have purposely planted monster bushes, fast-growers, and plants that are invasive to cut down on lawn mowing--and it has worked! I'm thinking wisteria would fit the bill nicely--and those wonderful flowers! This was a great read, useful info, and I'm sharing it. I live in Idaho 2010 ft altitude up. Summer is short winter is long with lots of snow.. most every other day. Outside of Sandpoint up 2 miles. what are my chances of growing Wisteria? I have lots of property, mostly east & west sun, 80 to 90 degrees + July & August. Not much shade. Winter comes early November, snow finally goes away mid April. Any answers will be appreciated. To me it sounds beautiful! But I have no idea what your HOA will and won't stand for. My area has a landowners' association, so I feel your frustration--as does everyone afflicted with and HOA or LOA. Ours has never had any success as far as getting people to mow and tidy up. Our landowners' association exists only because it allows a little private club to collect dues, which are then paid out to landowners' association members for maintenance of the lake and the parks. They like to pad their hours by mowing over the same area ten times. They pay themselves, friends, relatives and other "insiders" for work that was not done at all. They expend funds to maintain structures that are not used at all. They are, in short, a nest of crooks. LOA members here are sneered at, ridiculed, and vilified. I myself called them "grifters" on their facebook group page. They don't care. They are happy to trade their neighbors' respect and goodwill for a few bucks. I live on 19 acres of open fields that the HOA, which mainly consists of 1/4 acre lots, requires to be mowed and manicured at all times. The very few of us that have large acreage lots (my neighbor has 40 acres) are spending so much money appeasing the HOA that we are looking for any and all alternatives. I have two, non-invasive, prolific-blooming wisteria that I adore on my property next to my stone house, specifically the two-story stone portico with wrought iron railing on the balcony above, which it hasn't attached to. You may see where I'm headed here! Since my (and my neighbor's property) are large, open fields with nothing in sight, an invasive wisteria sounds dreamy and would help our mowing plight! What do you think? Apparently you can! I googled, "Can I grow wisteria in a pot?" and there are many how-to links on this. I suppose it's not surprising that it can be grown in a pot. Wisteria is nearly impossible to kill! I planted my wisteria in a large chimney pot, will it grow in a ristricted pot?. I think this would be a great idea! Wisteria don't require a lot of nutrients and actually bloom better without feeding, so competition from the oak should not be a problem. Shade might be. One thing I should mention is that I've read that wisteria started from seeds are kind of an unknown quantity as far as the profusion of bloom, and there seems to be a general belief that you should purchase nursery plants, which would presumably be clones of know good bloomers. Recently I was given Wisteria seed pods. They are so beautiful but I'm afraid to plant them. I would like to plant them in my back yard up against an old oak tree (I think)that is dying. The trunk of the tree is approx 30 -40feet around. Would you recommend I plant a few seeds around this tree and use the tree as a support? My experience is that it is impossible to kill a wisteria. I would suggest pruning in whatever way is needed. On my Wisteria tree can I cut the large branches off at the ground ? The tree is 8 years old I don't want the tree to die. Thank you! Mine hasn't been much trouble, but things may be different in the South, with it's longer growing season, or in places where the soil is more fertile. I almost planted a wisteria this spring and then chickened out as I read up on it. I think they are stunning but am a little scared of their capacity to take over. I can almost smell their fragrance in your pictures. I'm very jealous.